Every year, the Mater Foundation helps 2000 seriously ill and premature babies. They care for them and invest in research to help ensure more babies are healthy and alive. At just 24 weeks pregnant with twins, Jess went into premature labour. An ambulance from Mater Mothers’ Hospital in Brisbane raced to her home in Toowoomba. Paramedics feared they would have to deliver the twins in transit. 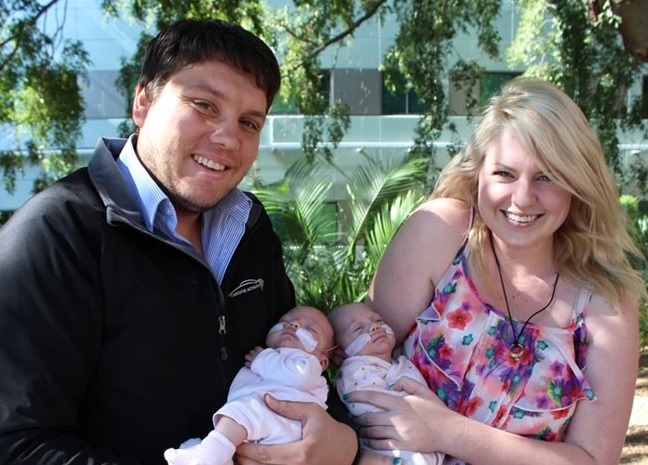 On arrival at Mater, doctors immediately began trying to boost the twins’ development and slow down Jess’ labour. It worked initially, but before long twins Bailey and Bella were born by emergency caesarean the next day. They weighed in at a tiny 670 grams and 710 grams respectively. The twins were immediately rushed to Mater’s Neonatal Critical Care Unit (NCCU). Jess didn’t really register what was happening or how serious it was, but within a few days the reality of the situation and the uphill struggle both she, her partner Steven, and her newborn daughters faced, hit her. At just one week old, and weighing just 600 grams, Bella required emergency surgery for a perforated bowel. She was given only a 50 per cent chance of survival. Thankfully, Bella survived but needed more than 20 blood transfusions. She suffered a heart murmur and spent almost nine weeks on a ventilator. After a long and testing 99 days in hospital, Jess and partner Steven were delighted they could take their eldest twin, Bailey, home. But their joy was short lived, as the next day Bella stopped breathing. “In that moment we thought we may not end up with both girls at home; Bailey was doing so well yet Bella seemed to have a bad day every second day,” Jess said. But Bella was a fighter. And thanks to the dedicated team of specialists at the Mater’s Neonatal Critical Care Unit, both twins left the hospital to go home on the 2nd September 2014, 127 days after they were born. Every day, the Mater Foundation supports seriously ill and premature babies just like Bella and Bailey and ensures they receive the highest quality care they need until they’re ready to go home with their family. One way you can help support Mater is by entering the Mater Prize home lottery. All funds raised from the lottery provide invaluable support for Mater’s smallest patients—the ‘Mater little miracles’. As one of the largest facilities of its kind in the southern hemisphere, Mater’s Neonatal Critical Care Unit is able to provide specialised care for more than 2000 seriously ill and premature babies every year, with your support. When you purchase a ticket to win a prize home, not only are you hoping for your own miracle, but you are helping to give thousands of premature babies and parents hope for their own miracle. In the current Mater Prize Home lottery you can win a luxury three bedroom apartment located just 2 kms from Brisbane’s CBD, including all the latest furnishings and interior design trends. You can choose to sell it, rent it or live in it. 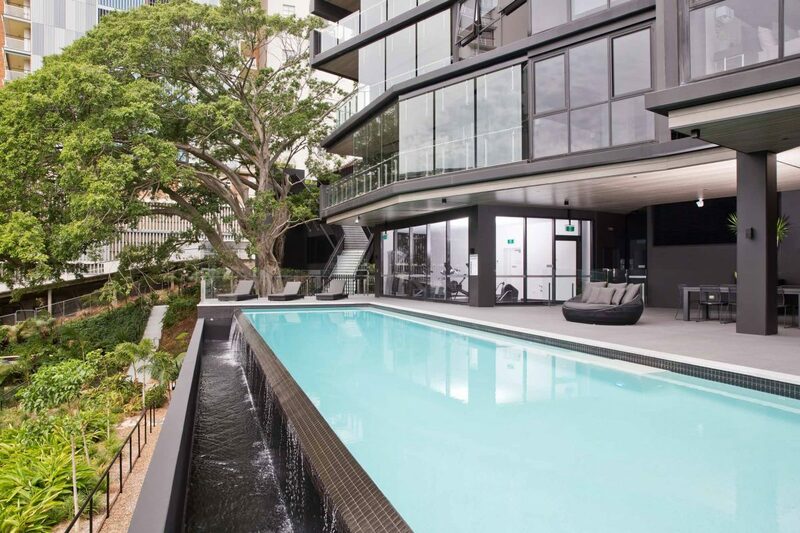 As well as the modern 1.6 million dollar apartment, first prize also includes $50,000 worth of gold bullion plus a $2,000 travel & accommodation voucher, to the value of $1,721,600. Buy your ticket for the Mater Prize Home lottery today and help support thousands of critically ill and premature babies. This Mater Prize Home draw has now closed. However, you can always enter a charity lottery draw on Oz Lotteries for your chance to win a stunning prize and help support a great cause. Win a Retrofit HSV GTSR with W557 pack!